Aside from the Redmi 6 Pro which was officially announced on June 25th, Xiaomi also introduced another device at the launch event and that is the MI Pad 4. The recently announced Mi Pad 4 is Xiaomi's new generation tablet and its the successor to the Mi Pad 3 which was launched in April 2017. Just like the MI pad 3, the new MI pad 4 is available in WiFi only model and LTE cellular enabled model. The Xiaomi MI pad 4 sports a 8-inch Full HD 1920 x 1200 display with an aspect ratio of 16:10 and pixel density of 283PPi. The device is also powered by Snapdragon 660 chipset clocked at 2.0GHz. The tablet is available in 3 different memory variants which are the 3GB RAM with 32GB storage, 4GB RAM with 32GB storage and the LTE variant with 4GB RAM and 64GB storage. The tablet comes with a single rear 13-megapixel camera with an f/2.0 aperture and support for HDR. The front shooter is equipped with a 5-megapixel camera, also with an f/2.0 aperture. The MI Pad 4 is powered by a massive 6000mAh non removable battery with a 5V/2A charging USB Type connector. The Xiaomi MI Pad 4 is available in WIFI only model and LTE Model. While the LTE variant of the MI Pad comes with Wi-Fi 802.11 a/b/g/n/ac (dual-band, 2.45GHz and 5GHz), Bluetooth v5.0, 3.5mm headphone jack, and USB Type-C. GPS, Compass and A-GPS options. Sensors on the Wi-Fi only model includes accelerometer, ambient light sensor, and a gyroscope. The entry-level 3GB RAM/32GB model costs 1,099 yuan (Appr. 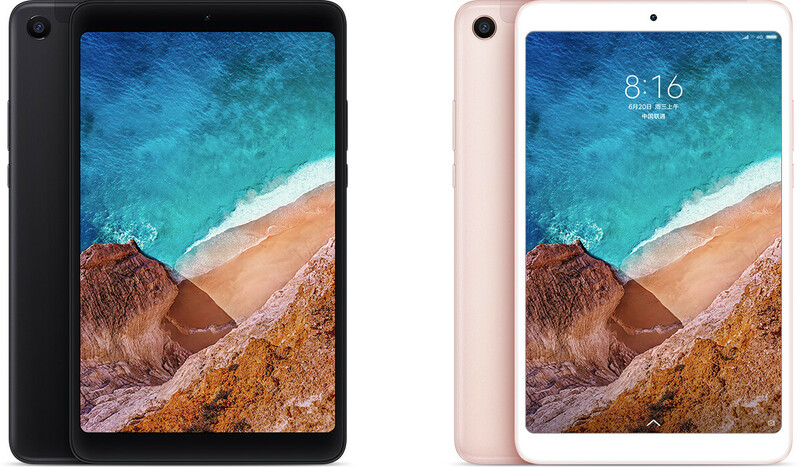 $168 USD,), The 4GB/64GB Mi Pad 4 variant costs 1,399 yuan (Appr. $214 USD) and the LTE version with 4GB/64GB cellular-enabled variant is available for 1,499 yuan (Appr. $229 USD). The MI Pad 4 is already on sale and it is available in Black and Gold colour variants.